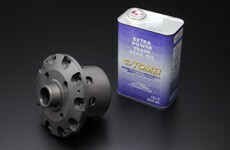 TOMEI developed an affordable, yet effective clutch-type limited slip differential (LSD) for the BRZ / FRS / GT86 platform. This 2.0 Way locks very aggressively during acceleration and deceleration. Excellent for spirited activity requiring consistent grip in all driving situations!